Chinese new year is just around the corner and already, the luxury watch brands have issued their zodiac-themed watches for our delectation. 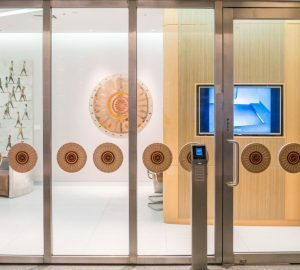 It’s always a treat to see how watchmakers interpret the Chinese zodiac symbols into their timepieces, while showcasing their artisanal skills. 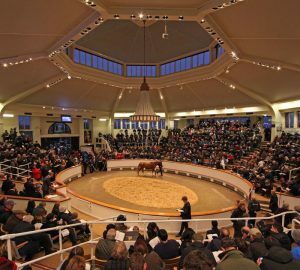 This year, we were particularly eager to see what the watchmakers came up with, particularly since the pig is not a exactly a graceful animal and might look out of place in these brands’ timepieces. But we of little faith! We hadn’t counted on the level of mastery and skill that these craftsmen have put in each watch. The result? Gorgeous porcine pieces that would take the pride of place in any watch collection. Chopard uses the ancient Japanese art of lacquering knows as “urushi” for the little porcine symbol on the dial. This watch is a thing of beauty and everything is painstakingly handsome. Chopard kept it simple, with just the hours and minutes. This simplicity belies the technical aspect, which has a Calibre 96.1 17-L movement inside the gold casing. Power reserve is set at 65 hours and the strap is black alligator leather. Limited to 88 pieces, manufacturing this gorgeous timepiece was Master Kiichiro Masumura, Japan’s top urushi expert. 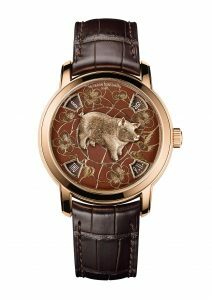 With only 50 pieces issued for this edition, this timepiece features a white gold oscillating weight engraved with the Chinese zodiac sign, the pig. What is fascinating about Blancpain’s Traditional Chinese Calendar timepiece is that it mechanically combines two different interpretations of time — one based on the Gregorian calendar and one of the lunisolar Chinese calendar. Given that the basic unit of these two time-division systems is not the same, this represents a truly technical feat, involving five years of research and development to integrate the two systems in one timepiece. The result is a gorgeous watch whose elegant looks belie the complications behind its manufacture. The pig, appears in a window at 12 o’clock, while below is the double hours counter displayed in numbers and symbols. The ten celestial pillars and five elements are displayed at 3 o’clock, while two hands at 9 o’clock serve to read the month and date. They are complemented by an aperture dedicated to the leap months. The moon phases, which are used to determine the months of the Chinese calendar and represent an emblematic element of Blancpain’s calendar models, are highlighted in a window at 6 o’clock. Finally, the date according to the Gregorian calendar, associated with these indications, is read off around the rim of the chapter ring by means of a blued steel serpentine hand. 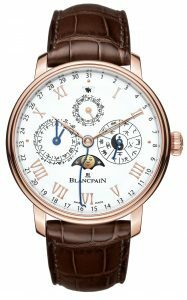 Blancpain’s Traditional Chinese Calendar is also available in a limited red gold version with a guilloché oscillating weight. One can’t help but smile at the luxury watchmaker’s version of the zodiac watch. The design’s DNA is pure Jaquet Droz and is testament to the Swiss watchmaker’s historu. The dial is made of ivory grand feu enamel, where the hand-painted pig can be found. The case-back is see-through, the better to glimpse the 2653.P movement, which features a gold oscillating weight, hand-engraved with yet another cute piggie. For the ladies’ version, Jaquet Droz added even more embellishment in the form of 232 diamonds on the bezel and 35mm red-gold case. The watchmaker went all out with their zodiac watch, with two versions (one with a blue dial and one brown) featuring enamelling and hand-engraving in the design. The little hand-engraved pig is made of platinum in the blue dial version and pink gold in the brown version. But what sets this apart is the meticulous detailing — if you look closely, you can see tiny engraved hairs on the animal. It features day and date indicators as well as hours and minutes. Bonus: All the polished parts have the Geneva Seal. The wach is limited to 24 pieces (12 for each version). 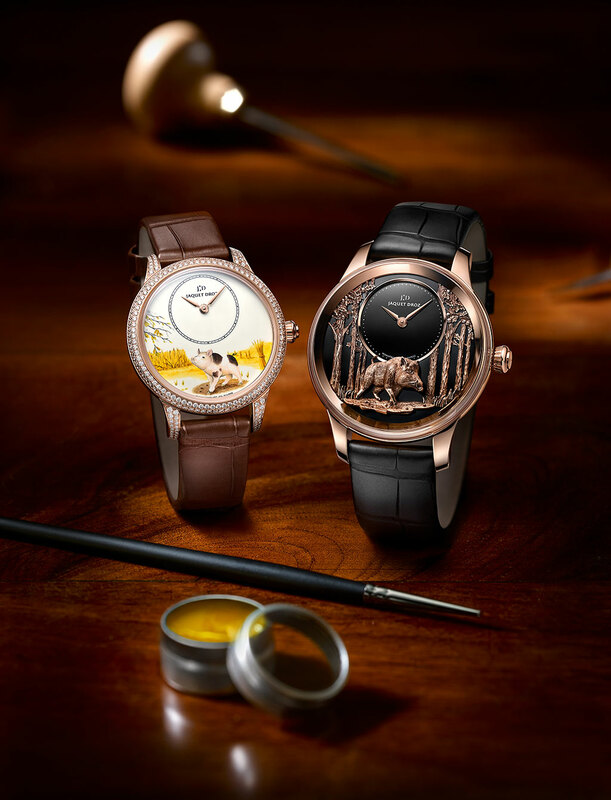 As befitting this jeweller and watchmaker, its take on the Chinese zodiac watch is replete with gleaming diamonds and mother-of-pearl marquetry. 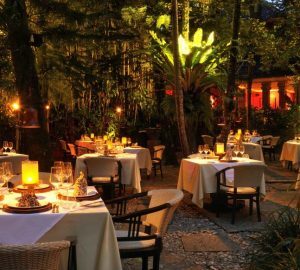 The design’s bright red mother-of-pearl scenery references China’s national flag and the magnolia flowers on the pig’s body symbolise female beauty and grace. 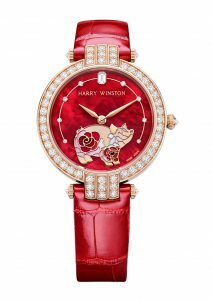 The detail of this watch is exquisite, with the pink gold pig inlaid with red and pink mother-of-pearl. The pig is seen with a raised snout, and has a diamond eye trained on the diamonds on the bezel and dial. A Harry Winston trademark, a large emerald-cut diamond sits at 12 o’clock. The watch has 57 brilliant-cut diamonds on the rose-gold case. There are only seven pieces of this watch made. Panerai’s version of the Chinese zodiac watch this year features the ancient Italian technique of sparsello engraving. 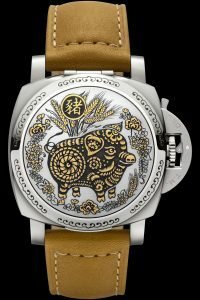 Inspired by Chinese iconography, the large handcrafted timepiece features a contrasting golden yellow and black engraving of a pig within a floral garden. The special-edition piece (there are only 88 pieces made) features Arabic numerals, linear hour markers and luminous dots. Inside, there’s a P9010 automatic calibre with a 36-hour power reserve. To complete the look and complement the warm yellow hues of the watch is a rich golden-toned leather strap. This one doesn’t necessarily show porcine iconography, but we’re including it here nonetheless because it’s fun, it’s red — lucky colour for the Chinese — and the brand just celebrated its 15th anniversary. 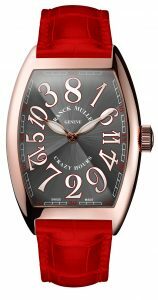 This commemorative watch is full brims with personality, with the Crazy Hours complication that has won the brand fans for years. In a Crazy Hours watch, the hour numerals are not displayed in order. As such, after every 60 minutes, the hour hand would jump to the next correct number, often snapping almost halfway across the dial to do so. Meanwhile, the minute hand follows a traditional 60-minute cycle revolving around the dial. 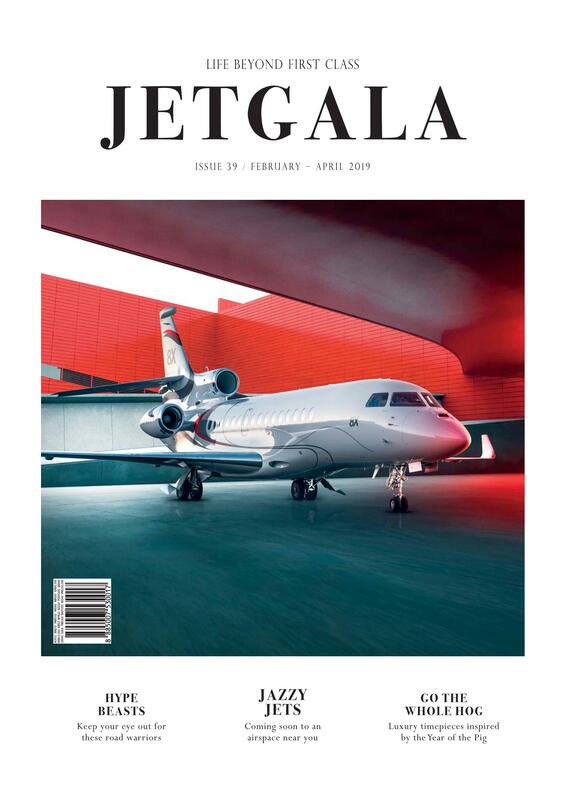 With this edition, the technical feat is matched by a sense of youthfulness and fun. The watches’ blue or grey dials with sunburst finish on the 7880 and 8880, are injected with shots of colour: the five-minute markers on the inner flange sport green, red, blue, and black tones, which in turn, are complemented by matching leather straps. Available in 40 combinations and in three sizes for gents and ladies.